The much anticipated Brexit Withdrawal Agreement has finally been published and can be found at the following link. The future relationship document is less than seven pages long. It says the U.K. and EU are seeking a free-trade area with cooperation on customs and rules: "Comprehensive arrangements creating a free trade area combining deep regulatory and customs cooperation, underpinned by provisions ensuring a level playing field for open and fair competition." The wording might raise concerns among Brexiters who don’t want regulatory cooperation and the measures on fair competition could amount to shackling the U.K. to EU rules. As Bloomberg's Emma Ross-Thomas writes, "There's a clear sense in the documents that we're heading for a customs union in all but name. 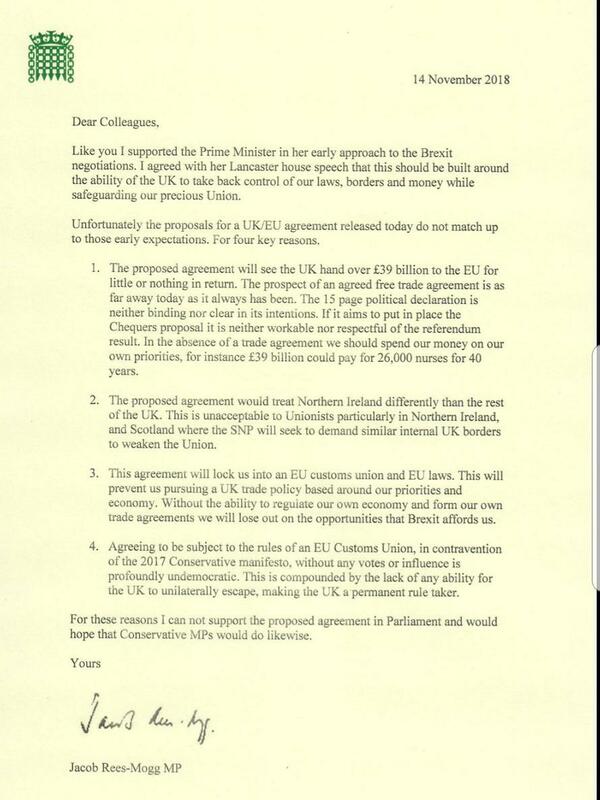 Firstly via the Irish backstop, and then via the future relationship." Separately, a government summary of the draft agreement suggests role for parliament in deciding whether to extend the transition or to move in to the backstop. But perhaps most importantly, regarding the controversial issue of the Irish border, the future relationship document says both sides aim to replace the so-called backstop - the thorniest issue in the negotiations - with a "subsequent agreement that establishes alternative arrangements for ensuring the absence of a hard border on the island of Ireland on a permanent footing." On this topic, recall that the U.K.'s fear was of being locked into the backstop arrangement indefinitely in the absence of a broader trade deal. The draft agreement includes a review process to try to give reassurance that the backstop would never be needed. Basically, the U.K. could choose to seek an extension to the transition period - where rules stay the same as they are currently - or opt to trigger the backstop conditions. In fact, as Bloomberg notes, the word "backstop," which has been a sticking point over the Irish border for weeks, is mentioned only once in the text. As Bloomberg further adds, the withdrawal agreement makes clear that the U.K. will remain in a single customs area with the EU until there's a solution reached on the Irish border. It's what Brexiteers hate, because it makes it more difficult for the U.K. to sign its own free-trade deals, which they regard as a key prize of Brexit. May is handing over money for "little or nothing in return"